Welcome to the New Duke website. This band was formed in 2011 when my Fairfield University colleague, Dr. Laura Nash, obtained a grant from the National Endowment for the Humanities. A two-week Duke Ellington workshop was offered to selected educators from kindergarten through twelfth grades in disciplines ranging from music and social studies, to art, American history and English. My role was to lecture on his life and demonstrate Ellington’s music with a live band. I immediately realized that this was a nearly impossible task. The legendary composer, pianist, and bandleader created a sound that could not be duplicated; it was beyond category. I proceeded to assemble an eight-piece band that would perform Ellington’s music in a different way- with newly conceived arrangements that would place Duke’s music in a contemporary context by infusing the music with funk, hip-hop, rock, reggae, and other contemporary rhythms. NEW DUKE was born. ; Dave Childs, keyboards; and Greg Burrows, drums. All the musicians gave their input and we worked collectively in a manner similar to the Duke Ellington orchestra. I sensed we might be on to something special. 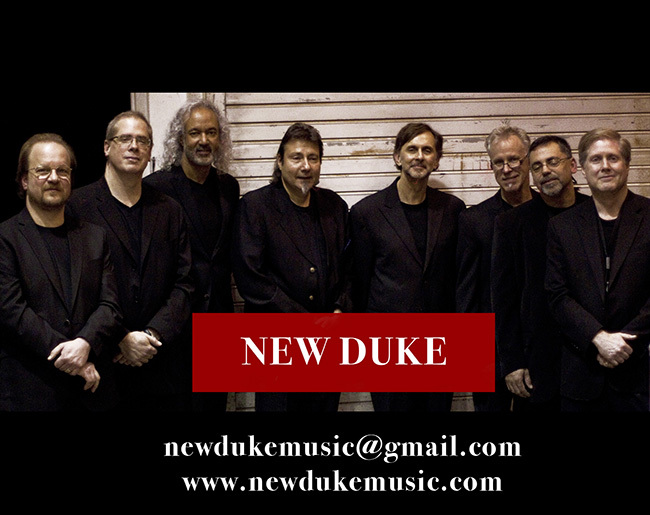 New Duke gave a few more concerts, performed in some local jazz festivals and repeated the NEH workshop in 2014. This summer the band recorded thirteen tracks at Carriage House Studios in Stamford, CT. Three of those tracks are posted on this website. 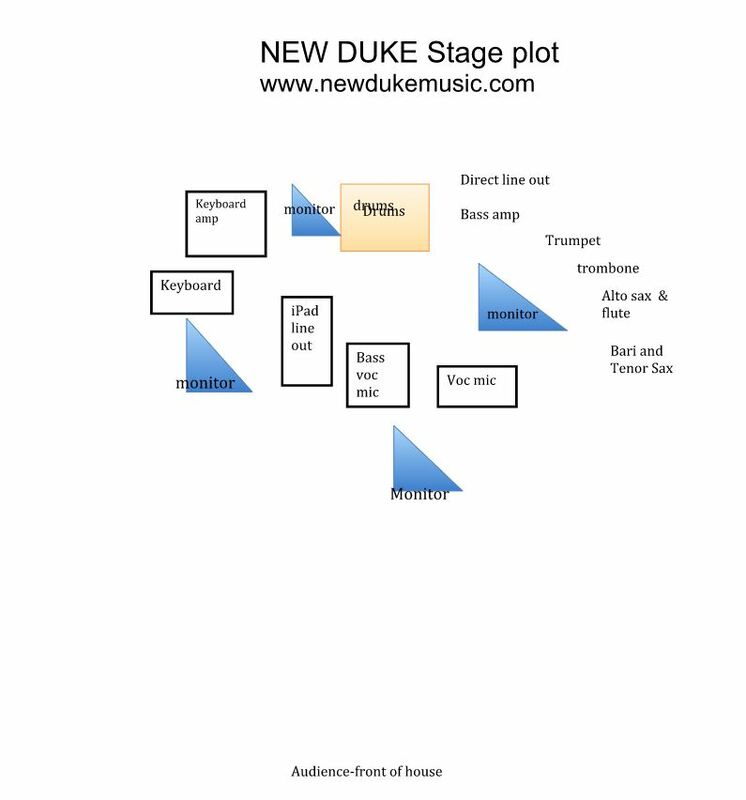 As the arranger, composer and musical director of New Duke, it is a joy for me to write for such a high-level band. Our concept allows for infinite mash-ups of musical styles and possibilities. That it all blends with Duke Ellington’s music is no surprise. His music was always modern and forecasted things to come. New Duke does not attempt a re-creation of Ellington; we try to re-envision the music. I think that is what Duke would be doing now. In the fall of 2015 we performed at Yale University’s Sprague Hall for their Ellington Series, and Fairfield Theatre’s Stage One. In conclusion, there will be much more to come from New Duke. I hope you will join us for the ride.